So much for that clean up of Wall Street. Little has changed since the financial crisis that threw the world into the Great Recession. As if that's not bad enough, nearly half of the survey respondents "find it likely" that their competitors have done something unethical or illegal to gain an edge. "We fear that the industry has not learned its lesson," concludes the report, which covers bankers in both New York and London. 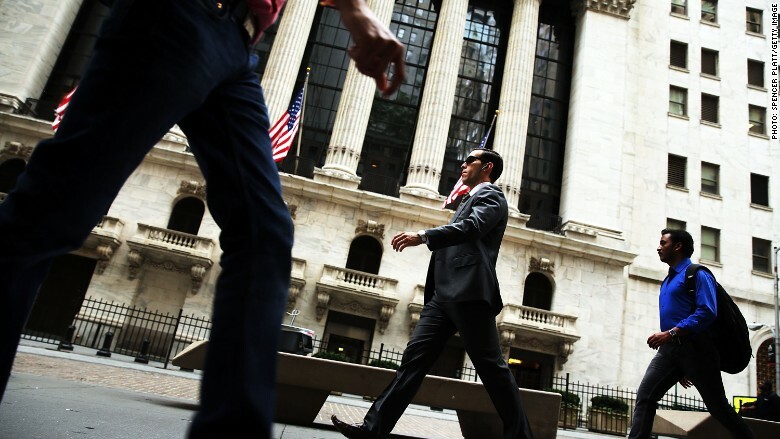 The survey began in 2012 as a way to gauge whether Wall Street's ethics were getting any better. The latest results indicate it's actually getting worse. Over a third of workers who earn more than $500,000 indicated they had personally witnessed wrongdoing or had first-hand knowledge of it. Numerous laws and regulations are now in place in an effort to curb the worst of Wall Street's excesses. But Wall Street has pushed back on the laws. JPMorgan (JPM) CEO Jamie Dimon went as far as to say recently that banks are "under assault" from regulators. The survey shows that rank-and-file bankers believe not much has changed. "We are particularly dismayed by the ethical standards of the most junior employees in the industry," the report says, noting that 32% of employees with less than a decade in finance say they would engage in insider trading to make $10 million if they didn't think they would be arrested. One of the biggest changes since the financial crisis is the introduction of the whisteblower program. The Securities and Exchange Commission started it to encourage more reporting of wrongdoing. Whisteblowers can get millions of dollars in rewards. But the survey found that 37% of respondents don't even know the program exists. But banks have introduced tighter confidentiality measures and even gag orders to bar employees from discussing anything beyond bank walls. About a quarter of top bankers have been asked to sign agreements that would prevent them from reporting illegal or unethical activities to regulators. "Without an aggressive plan to stamp out misconduct, we are simply sitting and waiting for another financial disaster to strike," the report warns.